It has been a great joy over the past two weekends, and again in the coming two weekends, to be part of the LifeWay VBS Preview team. As many of you know, I came to faith in Jesus Christ through the ministry of VBS (Vacation Bible School) back in the summer of 1987 in my home church, Lewisport Baptist Church. Since that time, I have been passionate about this ministry to unbelieving children and families through the Gospel bridge of VBS. So being invited to speak and teach at these 4 events has been an absolute joy and treasure. I am praying that my story will inspired thousands of VBS leaders, volunteers and teachers to share the Gospel with unbelieving children this summer. My hope and prayer is that they will make an extra effort to build a bridge to unbelieving children so that they might have a chance to hear about God’s love for them in Jesus Christ. My desire is to encourage them to go the next mile and make sure we are not hosting another event for our church-kids, but to truly dig deep and think about the spiritual orphans in their neighborhoods and communities that have no access to the Gospel in their homes. I am asking God to make this VBS summer a banner year in which more children, teens and families hear the Gospel, possibly for the very first time time. Say Yes to VBS. Special thanks to Austin Adamec , our worship leader for the events, for the photo. From Travis Avenue Baptist Church in Fort Worth, TX. I really enjoyed the message at Ridgecrest. I keep thinking about the “bridge”. Your story is great and your message is inspiring. Keep up the good work. We are praying for all of the team as you guys are traveling and sacrificing time away from you families for the gospel. I think this year’s theme is especially relevant to connect with young minds. So excited. I heard your testimony at Ridgecrest! Very inspiring. I plan to share your testimony and challenge with my church next Sunday. Thank You!! I was able to hear you at VBSI at Ridgecrest. 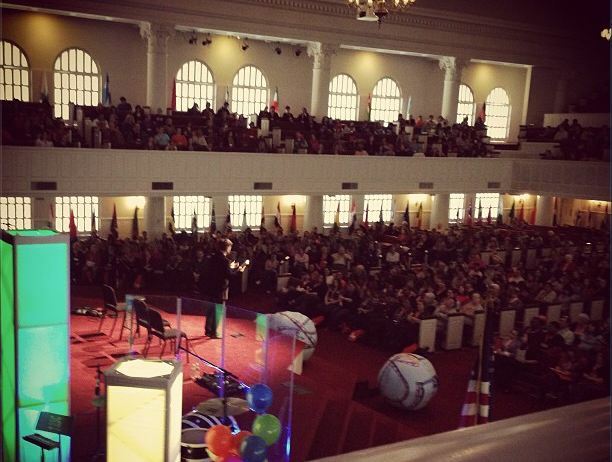 Thank you for reaffirming the importance of why we do VBS!